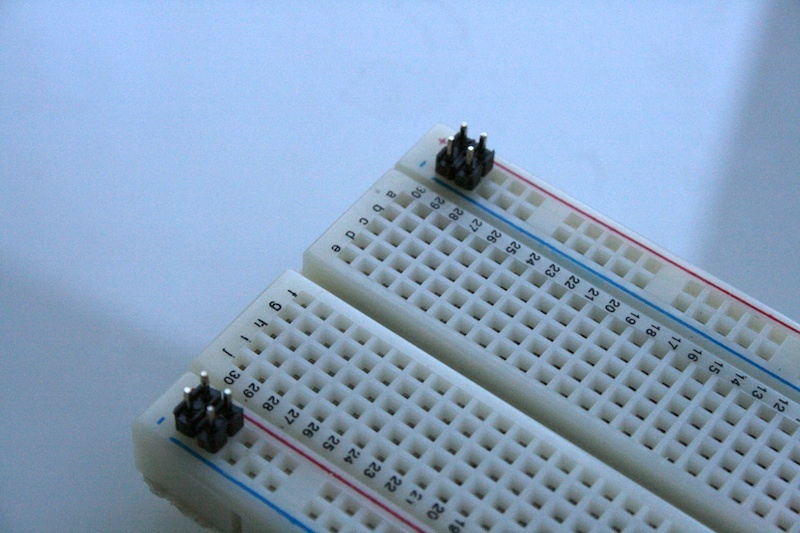 Modern microcontroller projects require the use of multiple voltages to combine different parts. 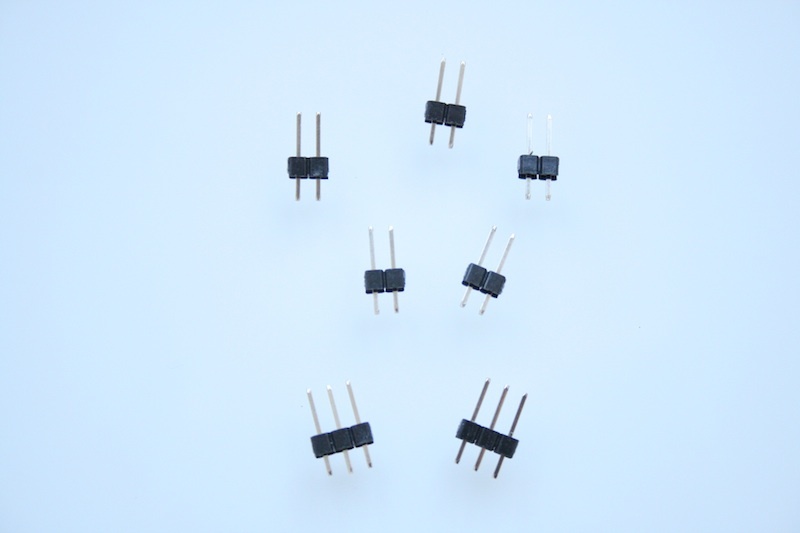 It is very common to prototype circuits that require both 5V and 3.3V (i.e. Arduino projects that use sensors or micro controller boards like chipKIT that interface with 5V devices, etc). 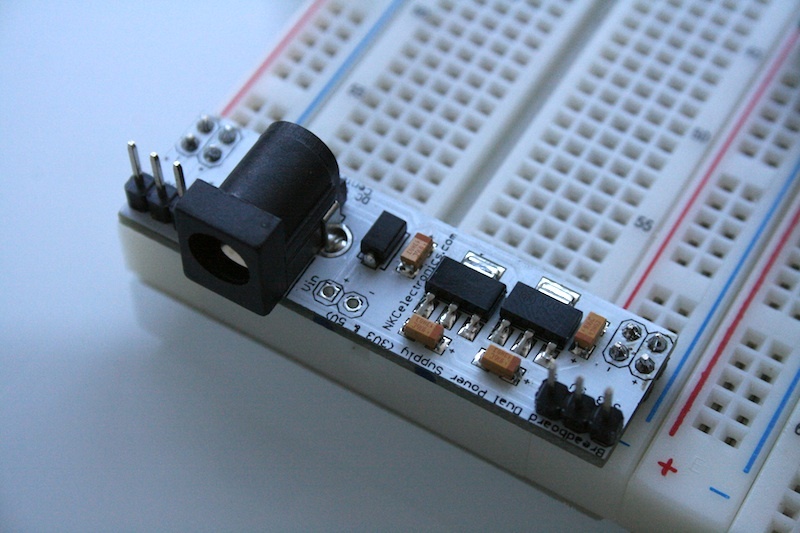 We created a breadboard power supply stick that provides both 5V and 3.3V. The voltage selection is user selectable, so you can power both power buses on a breadboard with same 5V, same 3.3V or mix 5V and 3.3V on the different buses. The product comes fully assembled, except for the male headers that are provided unsoldered. Breadboards are slightly different in size, so doing the final soldering we can assure you have the best fitting product to your specific breadboard. Differences are tiny, but you can find the best fit doing the final soldering. Insert 2 2-pin male headers on one of the power bus, then insert 2 other 2-pin male headers on the other power bus. Solder the 2 3-pin voltage selection headers, then place the jumpers based on your voltage needs. 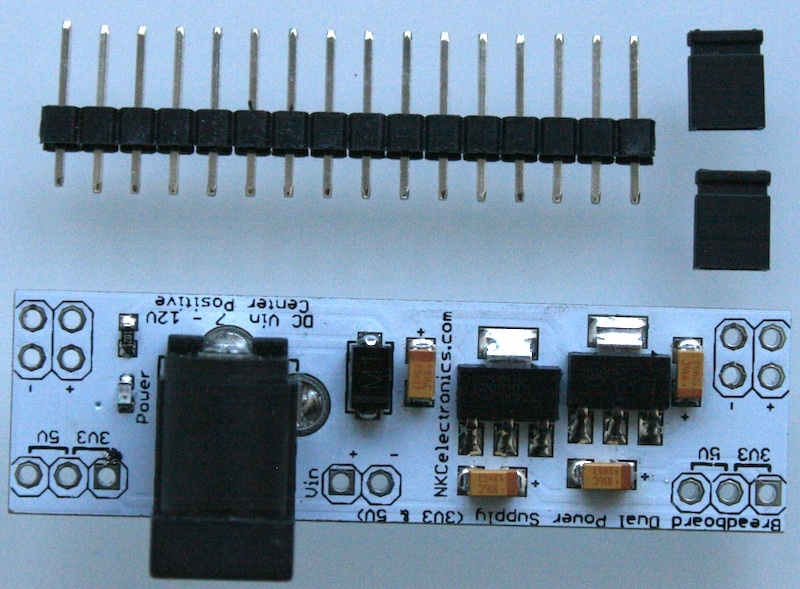 Plug a 7 to 12V DC supply to the 2.1mm barrel jack and you will have a working breadboard power supply stick. You are currently browsing the MCUKITS blog archives for July, 2012.